Assassin's Creed Unity's Season Pass will add a new story campaign, along with an entirely new downloadable game. With more French assassins thank you can shake a stick at, it only makes sense that Arno's story would expand beyond the main Assassin's Creed Unity game. And indeed, just as has been the case for the past couple of years, Ubisoft has announced a Season Pass for the latest game in the series that will feature a new story campaign. Dead Kings will see Arno depart from Paris and venture to Saint Denis, where the crypts of deceased French kings hold new mysteries and secrets. Arno will have to navigate the Basilica using the newest piece of his arsenal, the Guillotine gun, which will act as a new explosive weapon. Dead Kings will also include additional open-world missions and co-op missions. The Season Pass will also include three new missions, new weapons (including the Fleur de Lys sword at launch), and customization options in the main Paris hub world. 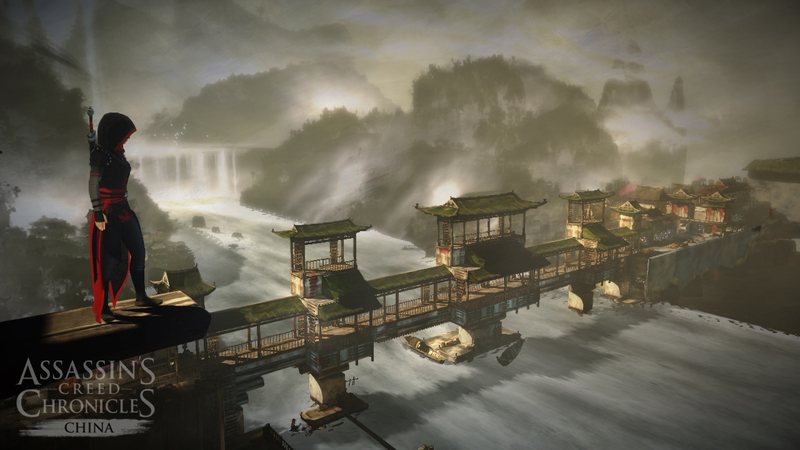 Players will also get the standalone Assassin's Creed Chronicles: China, a downloadable 2.5D assassin-centric experience that puts players in the role of Chinese assassin Shao Jun in the 16th century Middle Kingdom. For more, check out the Season Pass trailer below. Assassin's Creed Unity hits PC, Xbox One, and PlayStation 4 on November 11. Ozzie Mejia posted a new article, Assassin's Creed Unity Season Pass adds Dead Kings campaign. ...and my interest in that is gone. And they're releasing a sequel to Black Flag (Rogue) that's exclusive to PS3 and 360 within the same release timeframe as Unity? wtf.. where was I on this? First I've heard of it. Too bad they're not bringing it to the PC. Pretty dumb move. I assume they don't want to spend the money on porting the secondary AC (and flooding the market on one platform with two games). It's smarter to treat this like the PSP release and wait for a few months to do the port. Guillotine gun? I mean AC has always been ridiculous, but lol.